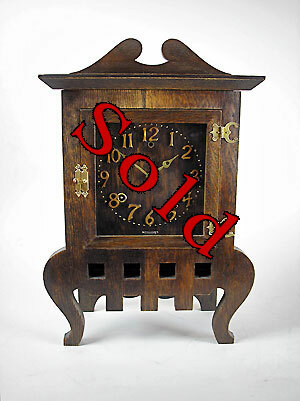 Mantel clock by Sessions Clock Co. This is an Arts and Craft mantel clock by the Sessions Clock Company in America. 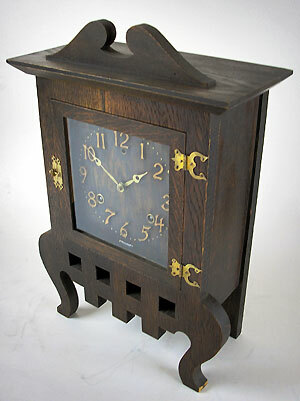 The clock is in a stained oak case with a wooden dial and applied gilded numerals, brass hinges and latch. 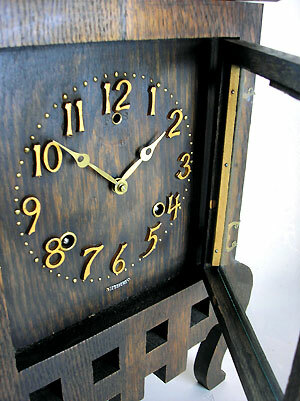 The gong-striking movement is of eight-day duration.